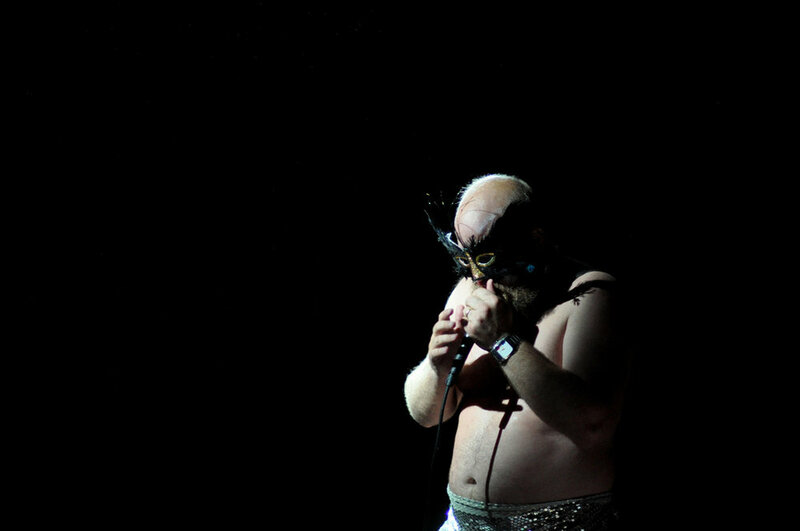 Tim Harrington, singer of the band Les Savy Fav, performs wearing a mask on Tuesday, September 6, 2011 at Music Hall of Williamsburg. The show was in celebration of the venue's fourth anniversary. Additional photos are available on Flickr and Impose Magazine. Photos of MHOW's opening night that I took four years ago are available on BrooklynVegan.